Two years ago I was discussing with Danielle de Niese, the chatelaine of Glyndebourne, how best to pay tribute to the work that her mother-in-law, Lady Christie, had done at Glyndebourne, particularly in the gardens. For over fifty years, before her retirement, Mary Christie had supported her husband, Sir George, in building the new opera house and in running the company, and, guided initially by her friend Christopher Lloyd, had been responsible for the gardens, a key aspect of the Glyndebourne experience. How to honour the work of someone of a certain age? A portrait? A sculpture? 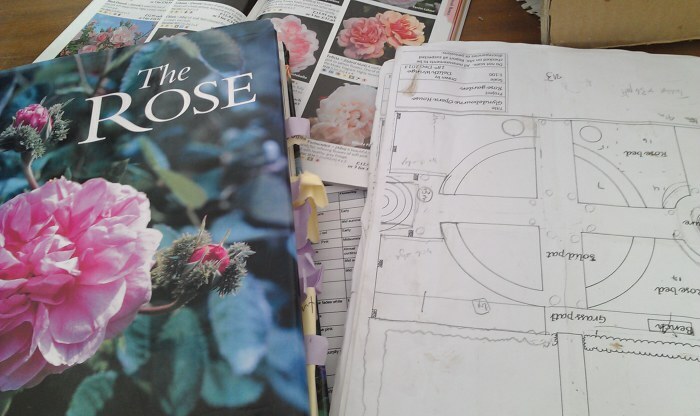 Searching for something more dynamic, we quickly came up with the idea of creating a new garden for her and, given her love of roses, a rose garden seemed the natural choice. 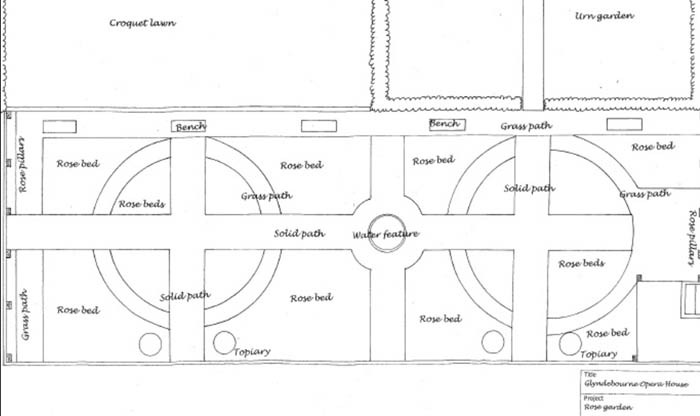 Mary’s family were enthusiastic about the idea and I started sketching plans and proposals. 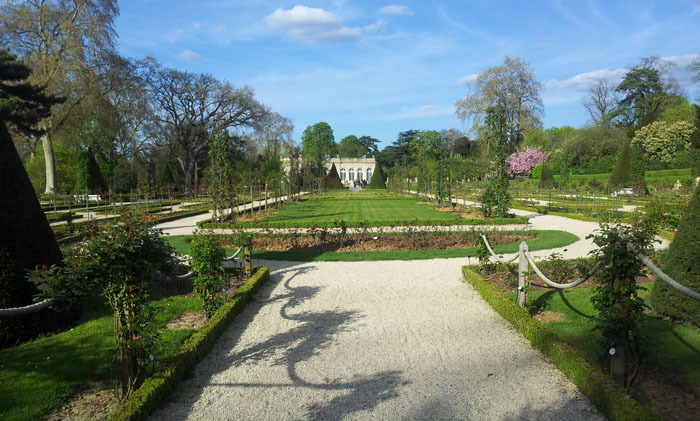 I visited the rose gardens in Madrid’s Parque del Retiro and in the Parc Bagatelle in Paris; the Queen Mary’s Rose Garden in The Regent’s Park and many other smaller rose gardens stimulated ideas and provided inspiration. The gardens at Glyndebourne are a progression of different areas, separated by wide lawns used by audiences for picnicking and by the Christie Family and company members for playing football, cricket and Frisbee. 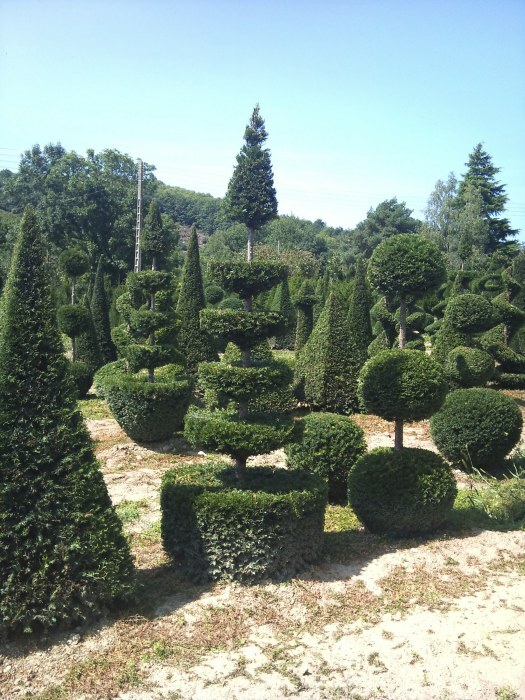 Two of the gardens ‒ the Urn garden (most recently planted by Christopher Lloyd) and the croquet lawn ‒ were enclosed by a tall, fortress-like yew hedge. 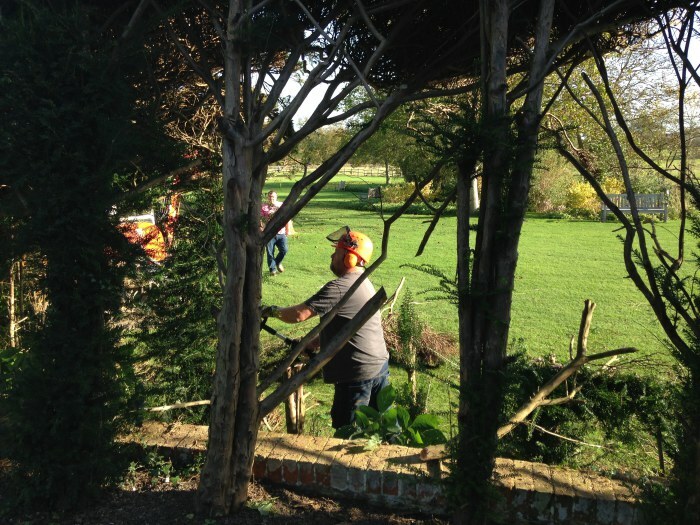 I had long wanted to remove parts of the hedge to open up the space to the spectacular view across the gardens and towards the Downs; siting the rose garden at the ends of the croquet lawn and of urn garden would enable me to do this, whilst also making an ensemble of the three different areas. Part of the Glyndebourne gardens, with the croquet lawn and Urn garden to the left. 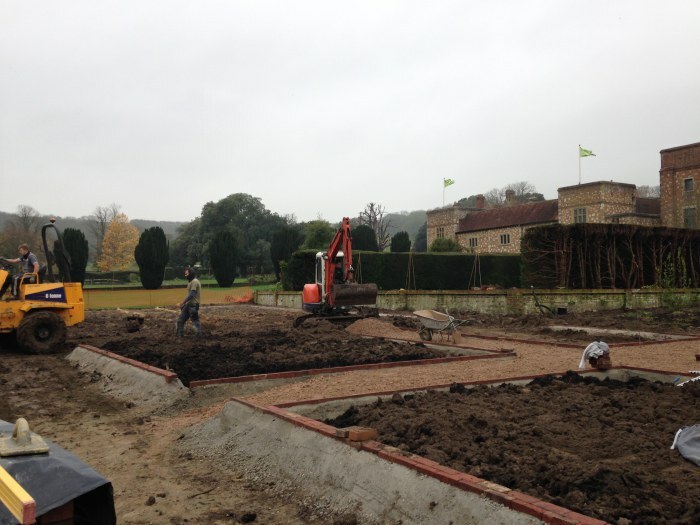 The overall design of the garden is classic ‒ a simple shape that allows access from the main lawn through to the lake and boathouse, and from the urn garden to the lake. A pool with a fountain provides the sound of splashing water; benches allow people to linger and enjoy the garden. In consultation with Gus and Danni Christie I selected brick paths in an adapted basket-weave pattern. Having costed and agreed the plans, we then needed to get them funded. 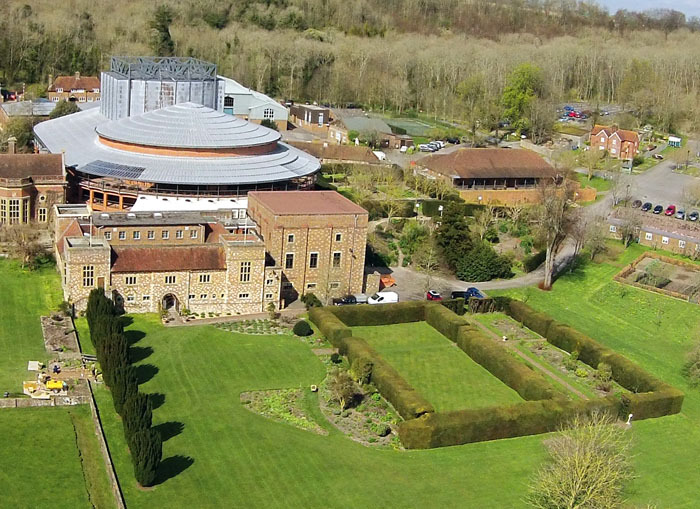 Glyndebourne is a charity and the Festival receives no government funding, so special projects like this have to be paid for by supporters and sponsors. The splendid membership department wasted no time in raising the necessary money, and we appointed Andrew Cherry as contractor. The first sod was turned at the end of October 2014, as soon as the curtain had come down on the last performance of the year in the opera house. 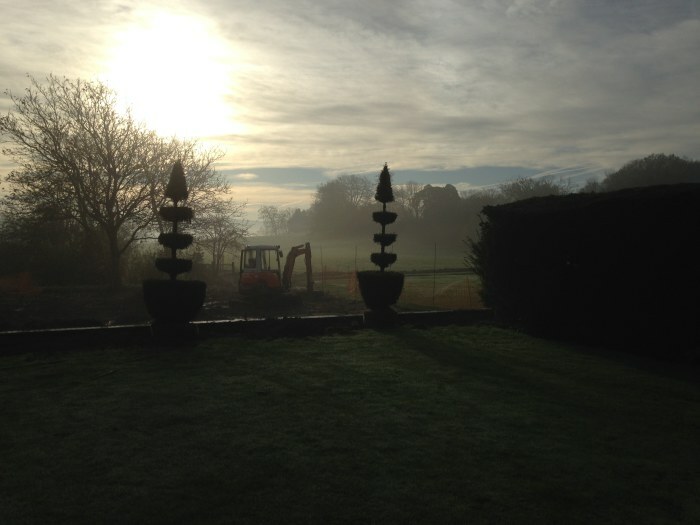 One of the most exciting moments was finally seeing the view from the croquet lawn slowly reveal itself. 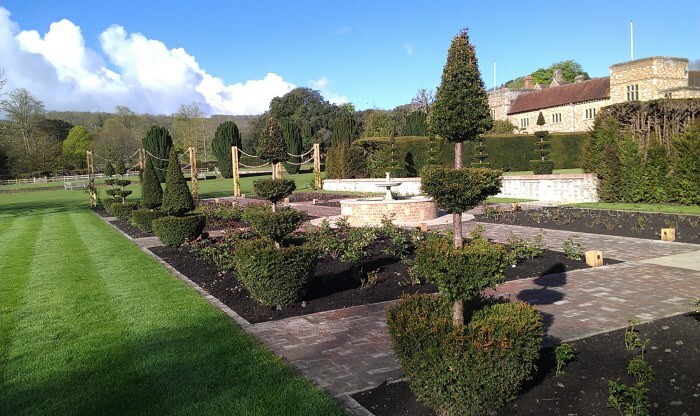 The soil in the area of the new rose garden was compacted clay over chalk so we removed the top 50cm and replaced it with a mixture of seventy per cent good top soil and thirty per cent rotted manure. 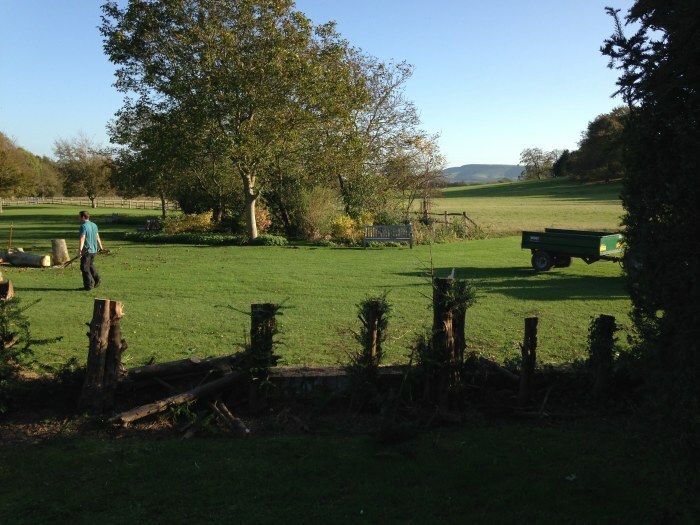 Throughout the winter, Andrew and his team built the new supporting walls, laid the paths and built the pond. 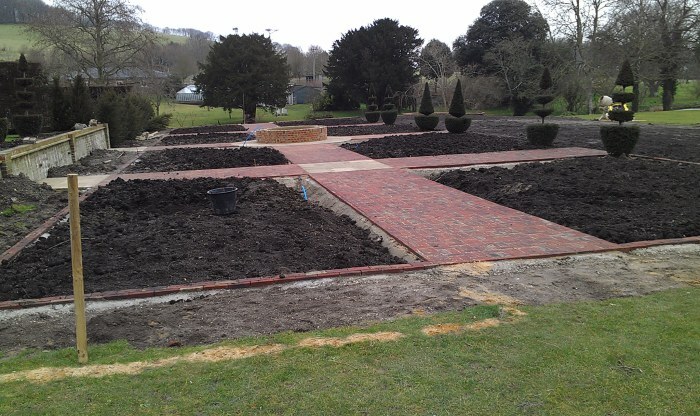 We took advantage of the building work to relay the paths of the adjacent Urn garden. These had become uneven and potentially hazardous. I had always considered the paths to be too narrow (the ideal width of a path allows two people to walk comfortably side-by-side along it), so they were widened as the work progressed. 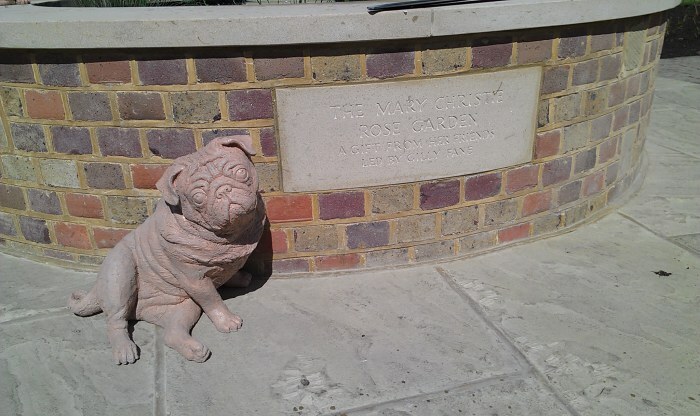 To add a personal touch, and a sense of humour, to the garden, I asked Rose Beale in Glyndebourne’s props department to sculpt two life-size models of Mary Christie’s dog, Fred, and we had them cast in bronze. 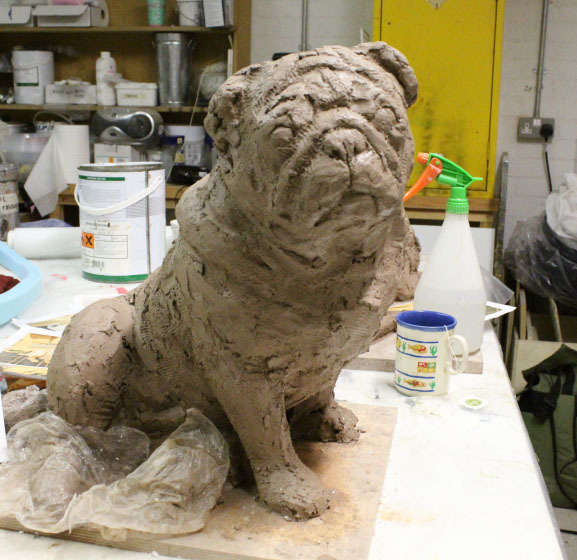 Fred the pug was sculpted in clay in the props department before being cast in bronze. 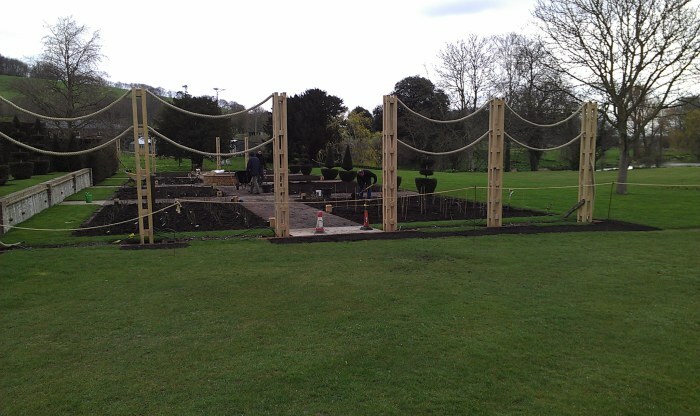 Keith Benson, the long-serving head of lighting, volunteered to design a subtle lighting scheme for the garden. As audiences leave a performance, and as the summer evening is drawing to dusk, the rose garden paths are washed with pools of light and the climbing roses are softly lit from below. By March, we were ready to plant the first roses. 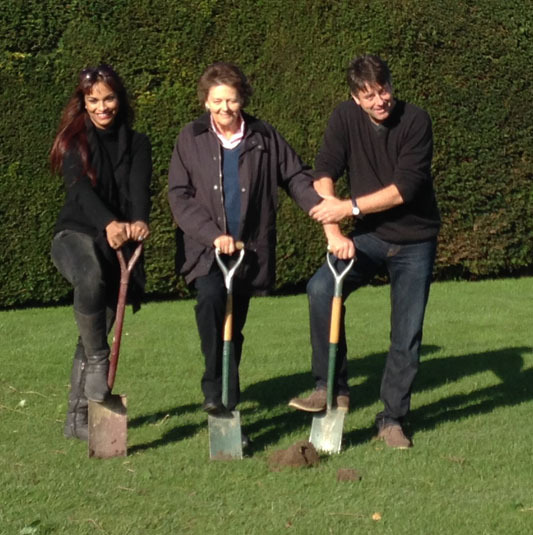 I made the final selection together with Lady Christie and Glyndebourne’s head gardener, Kevin Martin. We included modern hybrids such as ‘Savoy Hotel’ and ‘Valentine Heart’ amongst old shrub roses such as ‘Pierre Ogier’ and ‘Blanc Double de Coubert’. The tones are pinks and whites, with the occasional punchy red provided by the likes of ‘Falstaff’ and ‘Munstead Wood’. We favoured long-flowering, floriferous and scented varieties. One of the advantages of modern hybrids is that they will flower during their first year, so although we will have to wait another year to see the full flowering impact of the garden we will have lots of colour during its first season. 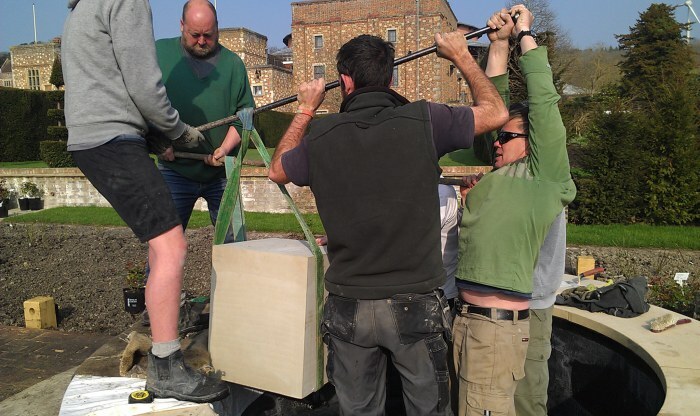 From the outset of the project I had wanted to involve as many of the people who work at Glyndebourne as possible ‒ the garden is a ‘Thank You’ to Mary Christie, and many members of the company wanted to join in. The props, lighting and membership departments were already involved. 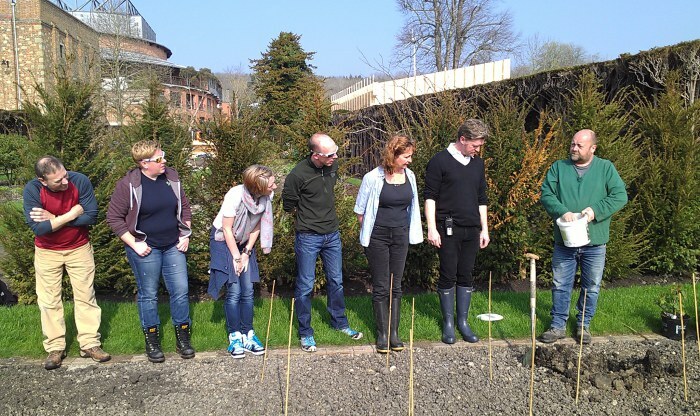 To give other departments an opportunity to contribute we invited everyone to come along and lend a hand to plant the 640 roses that are now in the garden. This was more fun than anyone could have imagined. Cleaners, admin staff, dressers, conductors, stage crew, soloists all came down to the garden to take instruction and plant their rose. The rose garden is the first major addition to the gardens since the building of the new opera house twenty years ago. At the end of April, 2015, Mary Christie cut the ribbon to officially open the garden. The sun shone as supporters, performers, technicians, administrators and musicians came out into the gardens to share the moment. It has been wonderful to see a project though from conception to realisation in such a short space of time, and I am deeply satisfied by the result, not just in terms of the physical space but also for the way in which it has involved and enthused so many members of the company. I look forward to seeing it nurtured and developing over the next few years, and to watching it mature. And, perhaps most importantly, to it being admired and enjoyed by Glyndebourne’s company and audiences over many Festivals to come.